We are pleased to inform you that once again out Athletes from the Indian Jewish Community have been lined up to participate in the upcoming 20th Maccabiah Games to be held in Israel from 4th – 18th July; 2017. The 2017 Games will be the 20th such Maccabiah event – held every four years and spread over 80 years. Maccabiah Games stand for the Jewish Olympic Games which is recognized as the 5th largest such gathering of athletes worldwide. The games have been in existence from 1935 with a break in between during World War II. These games are recognized by the IOA. 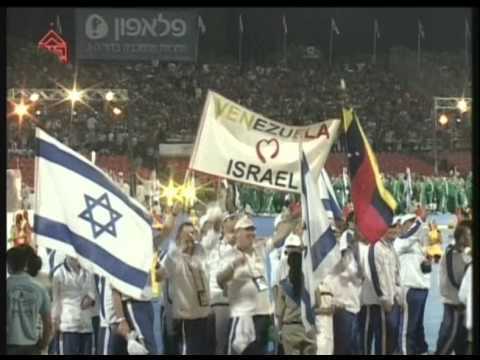 The 19th Maccabiah saw 75 countries represented with 8500 participants. We expect for the 20th Maccabiah it will be 85 / 90 countries with 10,000 athletes and officials. It is also very appropriate particularly the fact that India and Israel are celebrating 25 years of friendship and the prospect of our Prime Minister – Narendra Modi making a State visit to Israel in the next few months. It is on record that the Indian Contingent has secured medals at every Maccabiah we have participated in whether in Cricket (Silver medal), Badminton (Silver / Bronze medal). In fact, in 1957 (the first time we participated in the Maccabiah Games) a team of 5 participants returned with 3 Gold / 3 Silver medals and the most scientific Boxers prize. Maccabi India therefore is an on-going Sports Association of our Boys and Girls and they do us proud in holding the Indian Flag high. As of now, we expect to field 30 participants. For your ready reference, we are sending you photographs of our teams in action which include our host Navtej Sarna who was Indian Ambassador in 2013 and is now India’s Ambassador in Washington. He was proud to see the INDIAN Flag flying high. The overall cost is US$ 6000 per participant and the total commitment would be US$ 180,000. We are therefore seeking sponsors for this iconic event. We are hopeful of raising an amount of US$ 80,000 through various channels and therefore are seeking supplementary assistance to the tune of US$ 100,000. Whatever contribution you and your organization can make to this cause would be greatly appreciated. Can you please help us in our appeal for funds through your own channels. Furthermore, is there any prospect for you to come to Israel at some time in the future to conduct Cricket Clinics as Israel with over 80,000 Jews originating from India are also mad about Cricket conducting their own league but obviously not anywhere near World Standard. Your share could be as good as a donation for MACCABI INDIA! Not everyone can afford to take care of their loved ones. MACCABI INDIA's life can only be saved by donations made by kind people like you.